Bronwen went to TedX with her Mum. 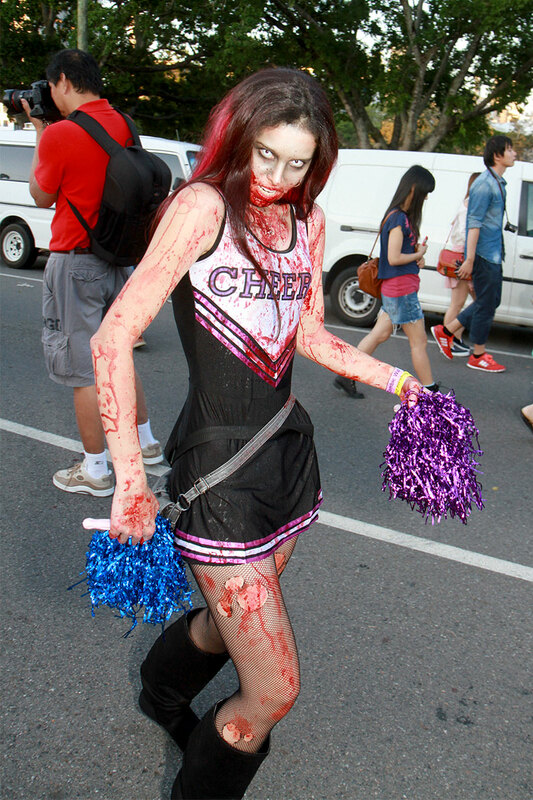 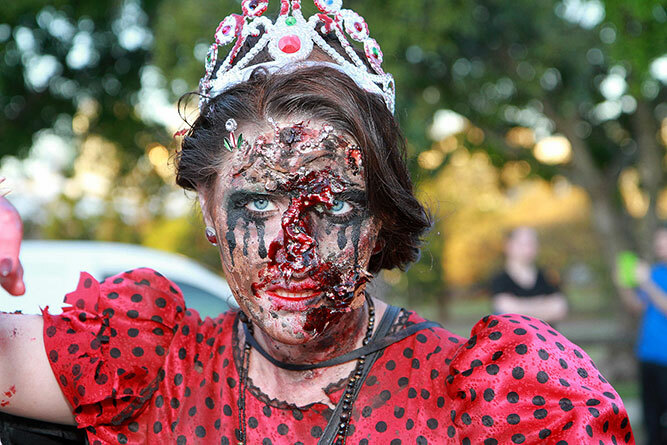 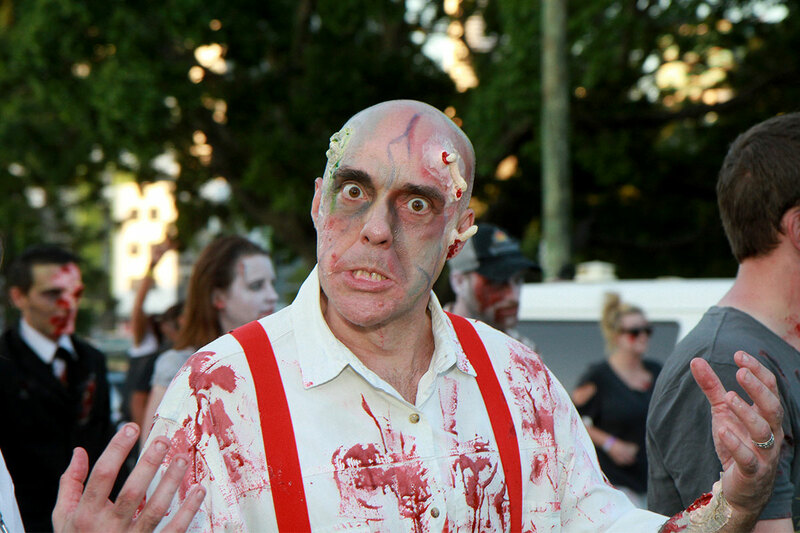 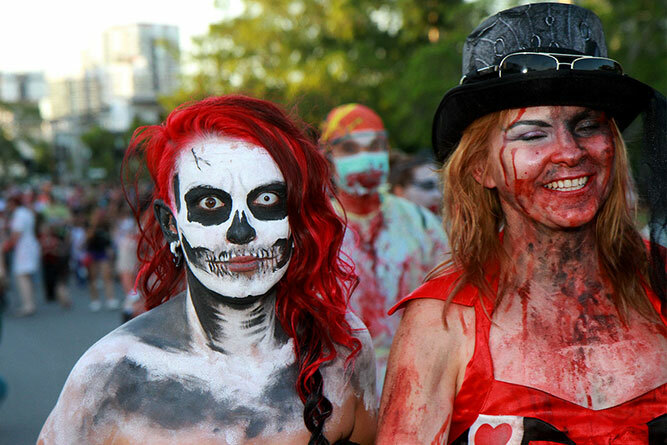 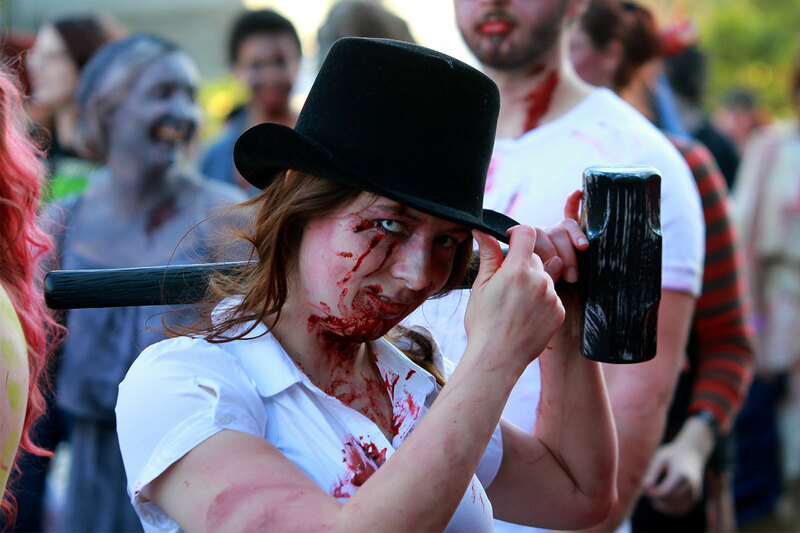 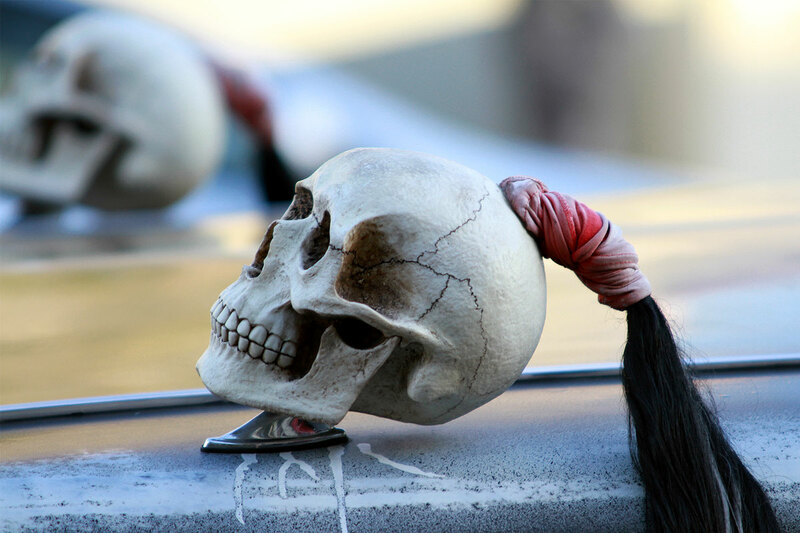 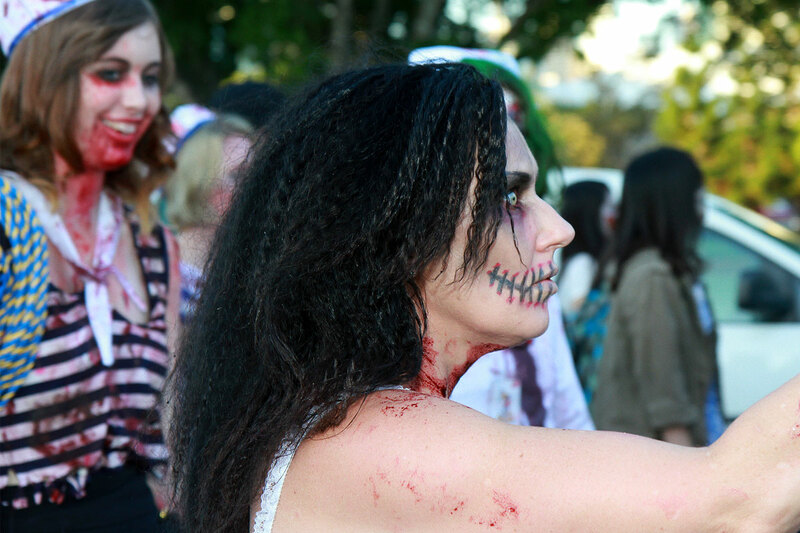 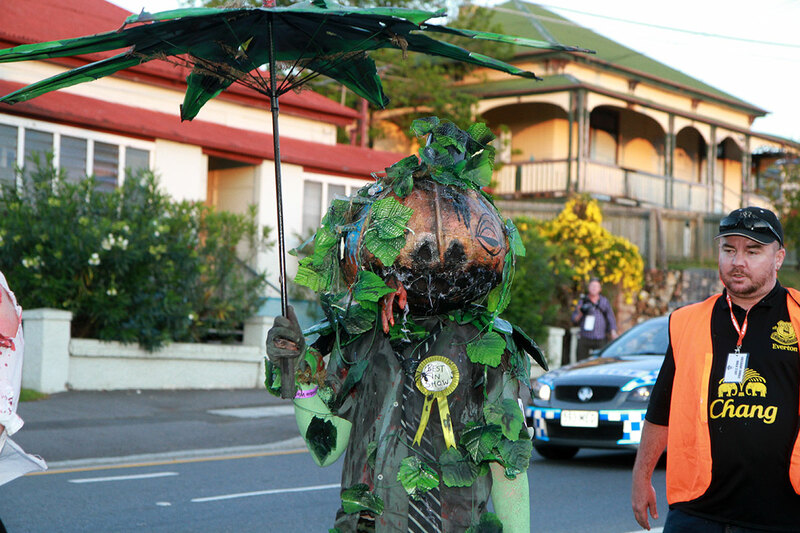 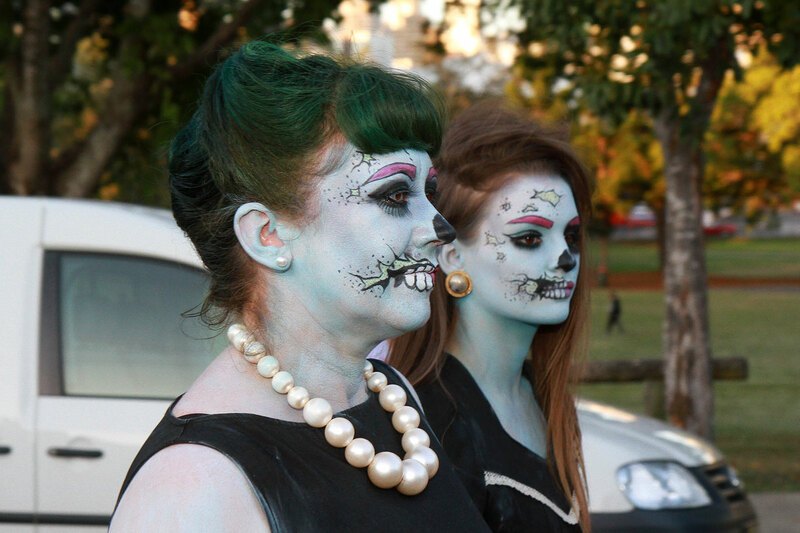 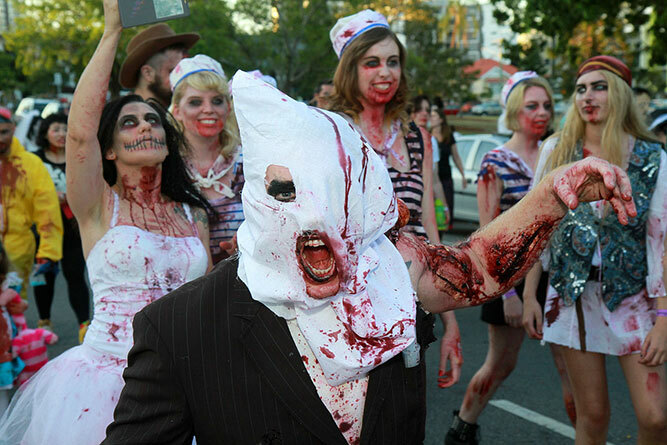 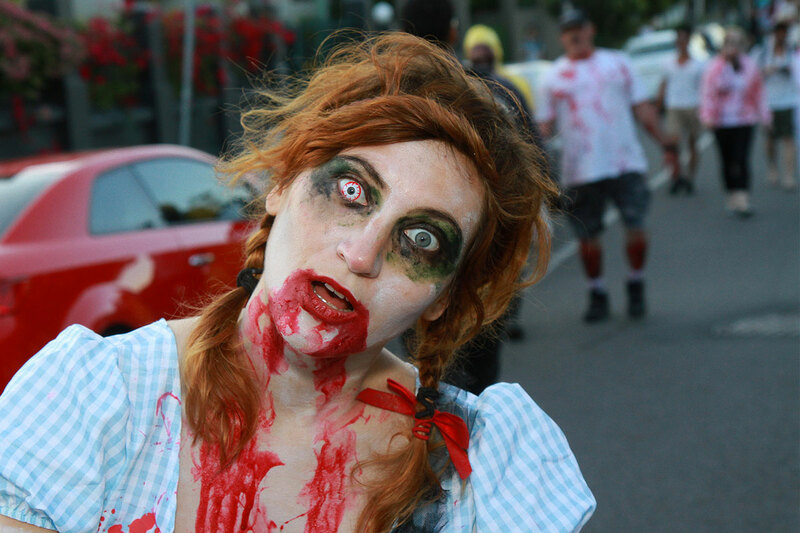 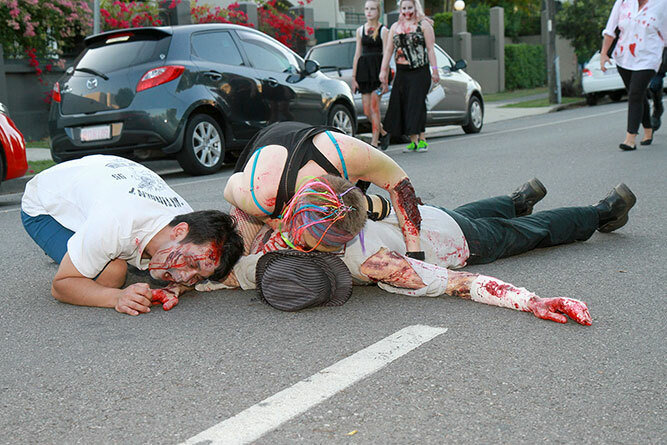 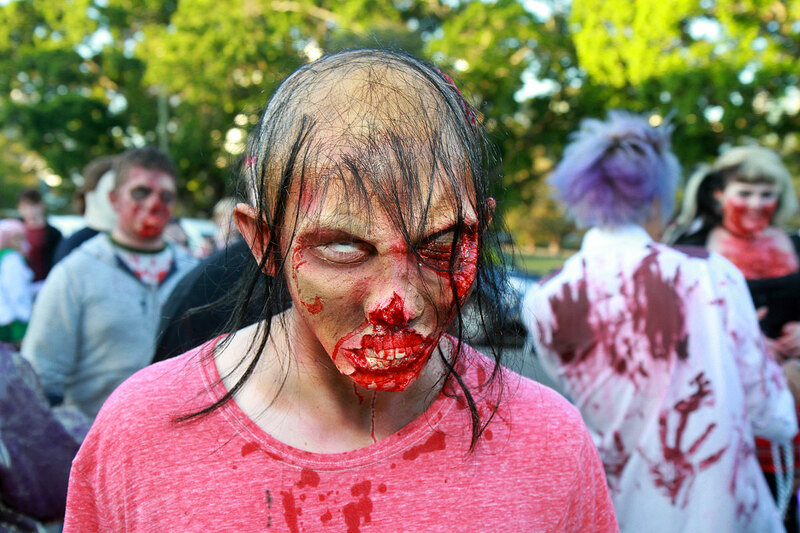 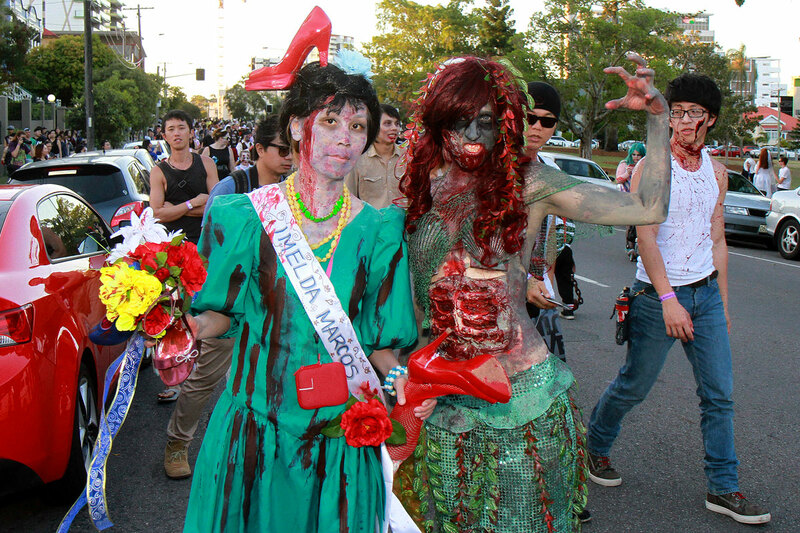 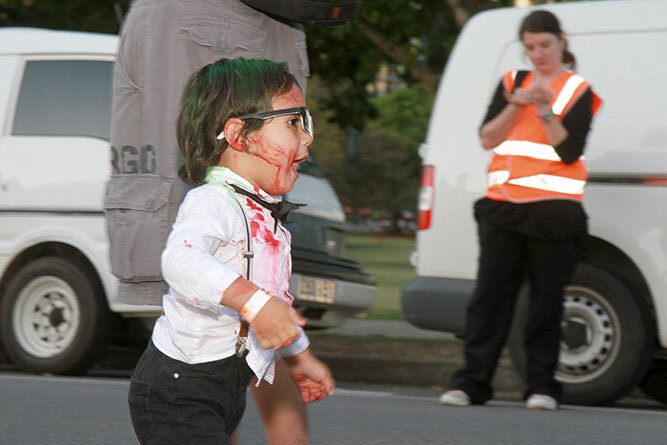 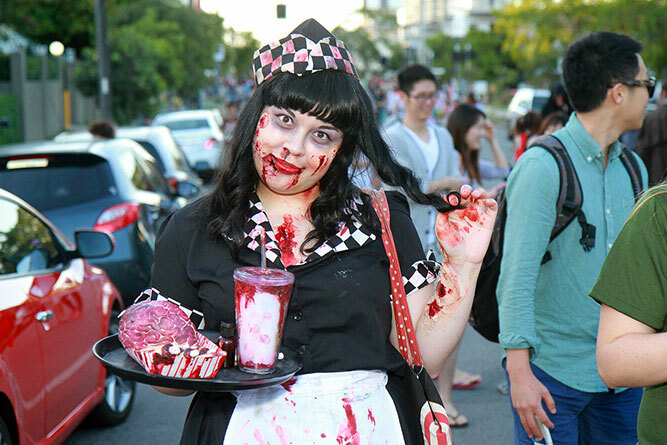 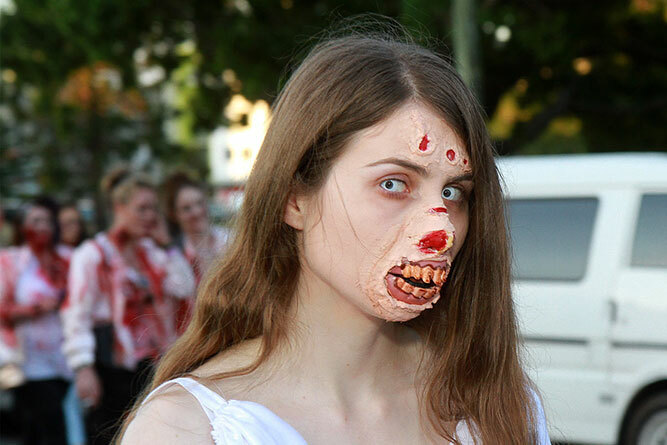 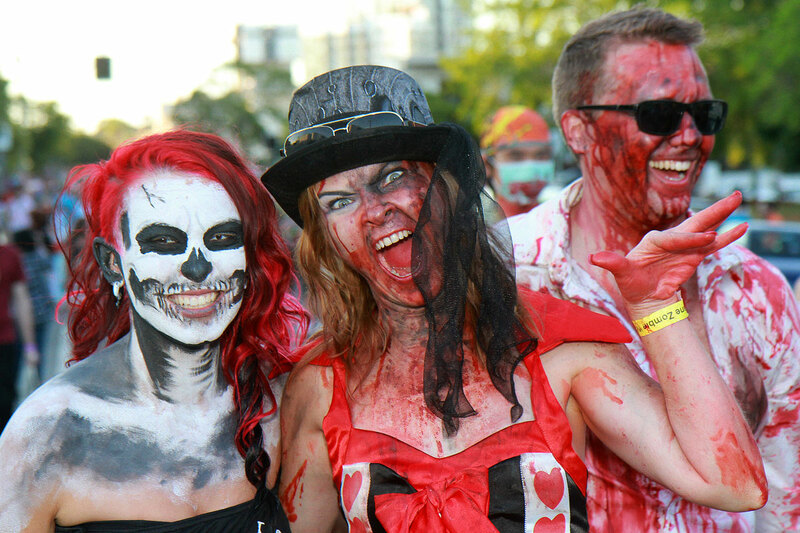 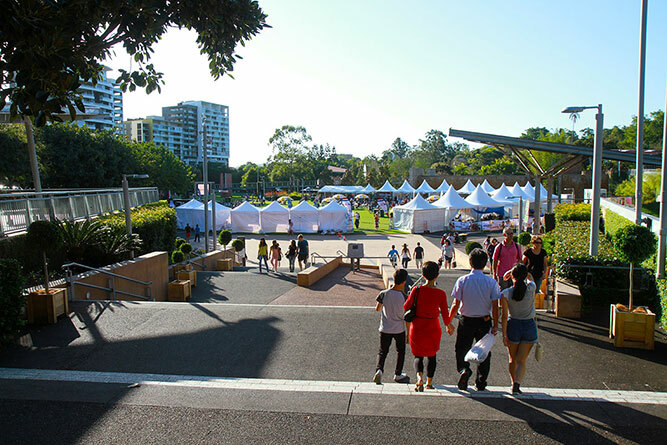 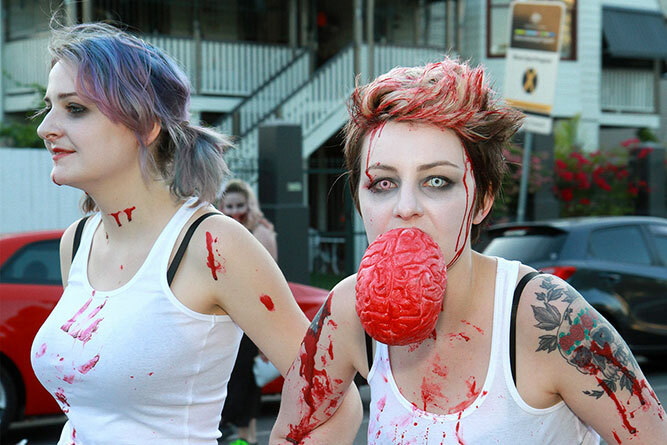 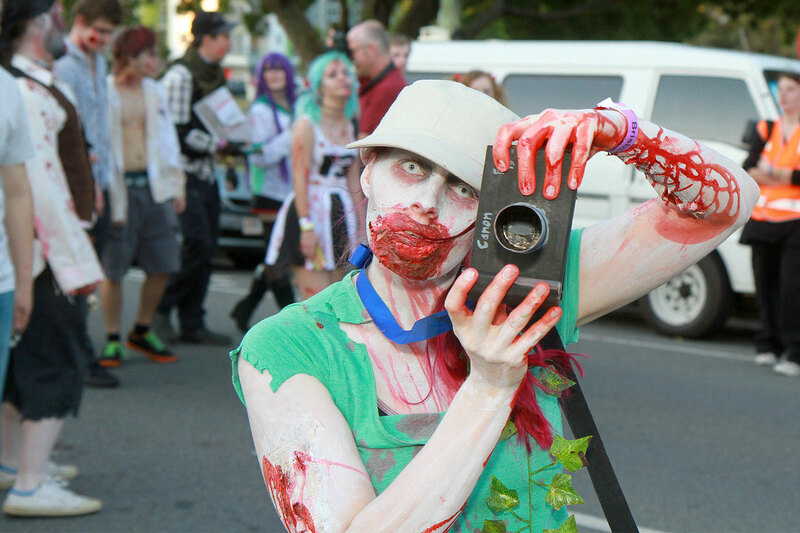 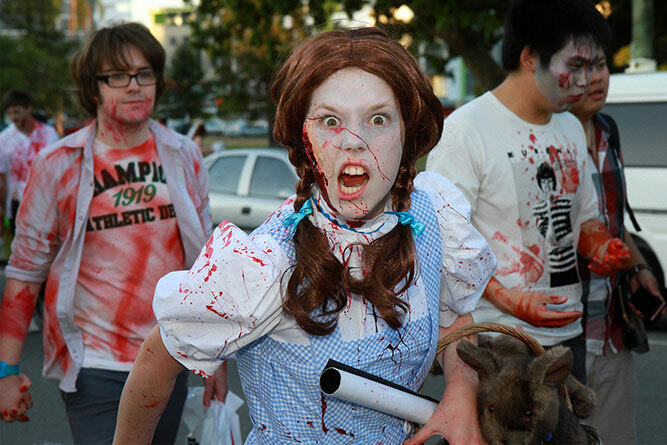 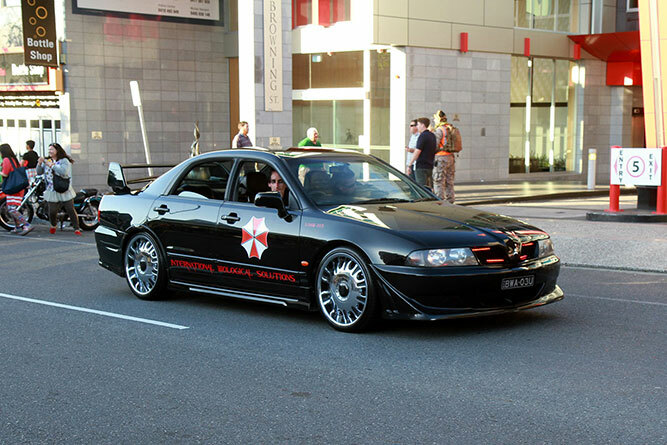 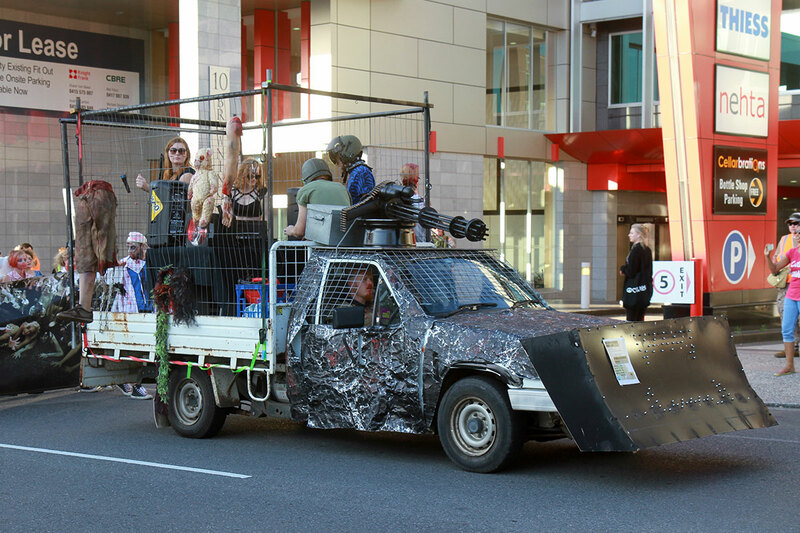 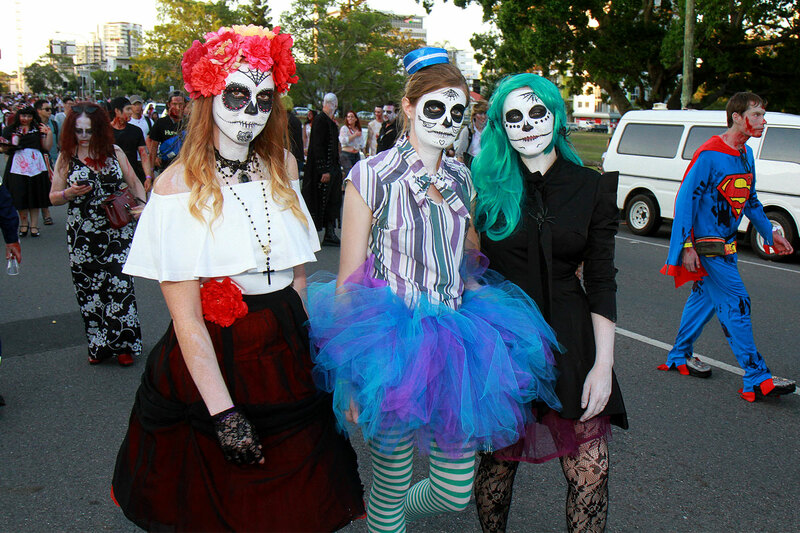 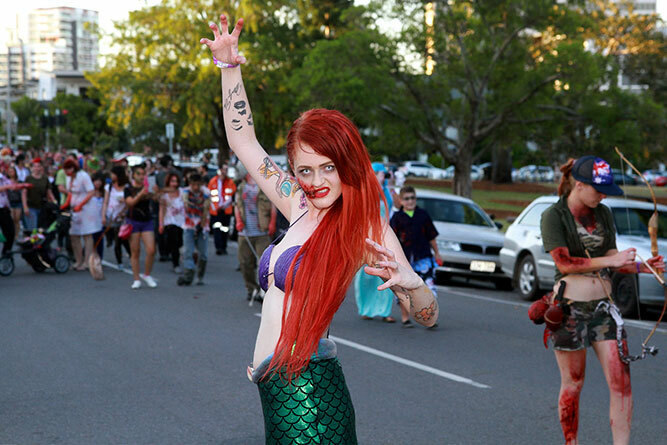 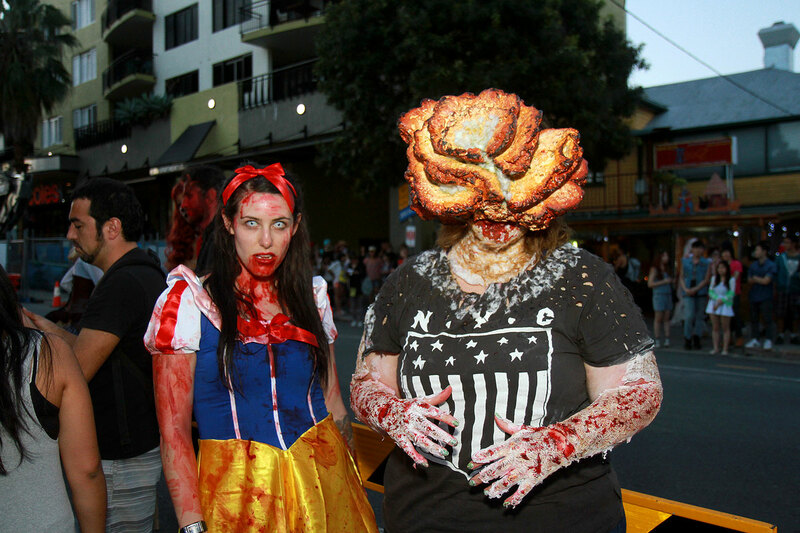 I went to the Brisbane Thai Festival, and then Brisbane Zombie Walk. They’ve effectively ruined the zombie walk by turning it into a paid music event/Halloween party—I haven’t paid to go to it, so perhaps it’s fantastic inside the event, but the actual walk part seems like something they only tack on because they wouldn’t be able to call the event a zombie walk without the walk. 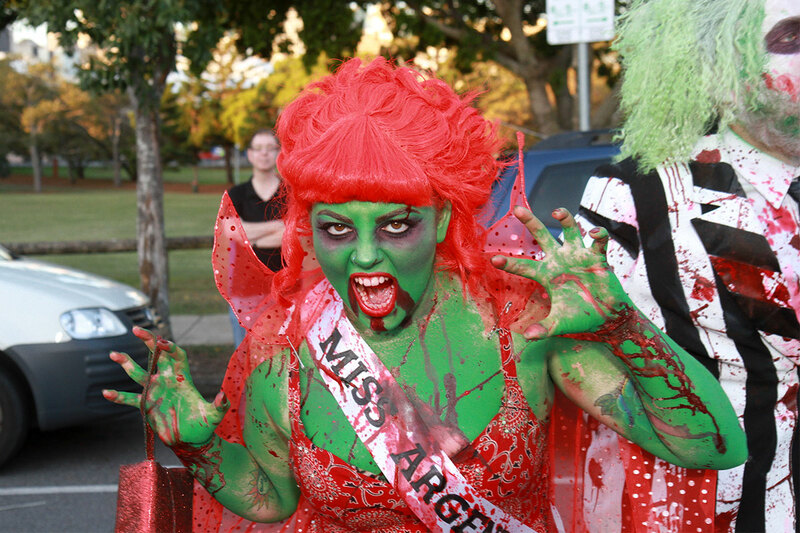 It’s very short (and even then the organisers and police were quite rude in trying to get people to hurry up), is very organised and well behaved (while probably a good thing, the time my mate had his ear bitten by an insane zombie, cars and shops were damaged, and we had to avoid having bottles thrown at us did add a level of reality that you don’t get from people dressed in sheets walking around with their phones), no longer goes anywhere near the city (though the RNA route was the worst), and those who put the effort in to look amazing are drowned out by all the people who only put in a token effort and then wander around the short walk route taking photos with their phones. 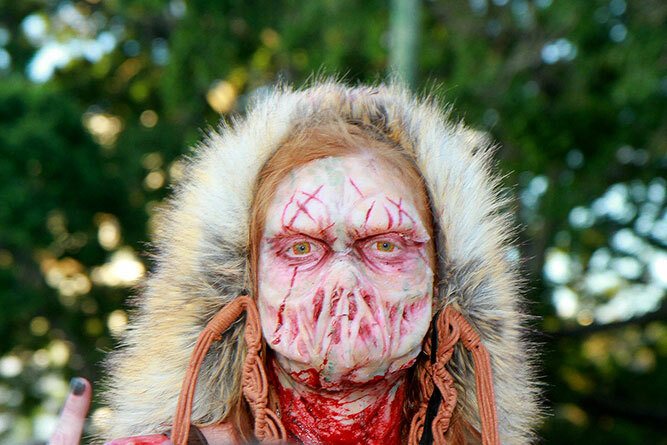 There are still some amazing and scary people in it though, who must have spent all day preparing… contact lenses seemed to be the big thing this year—I’m pretty sure some of the zombies wouldn’t have been able to see through theirs. 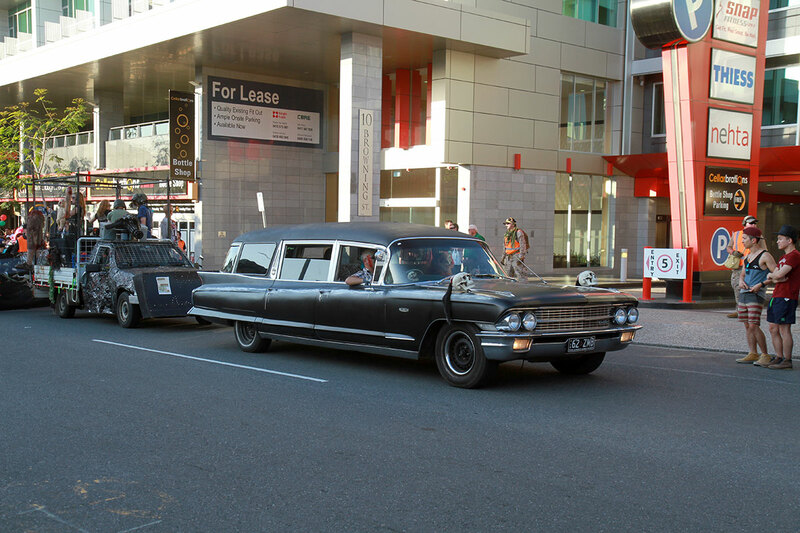 Also, to the organisers who kept yelling at photographers to get out of the way, and yelling at zombies to stop having their photos taken and keep moving—it’s a public spectacle, get over yourselves and if time is that much of an issue, shut the roads for longer next time. 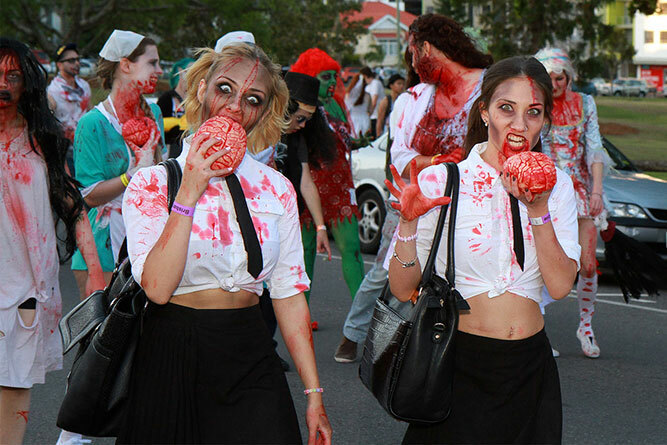 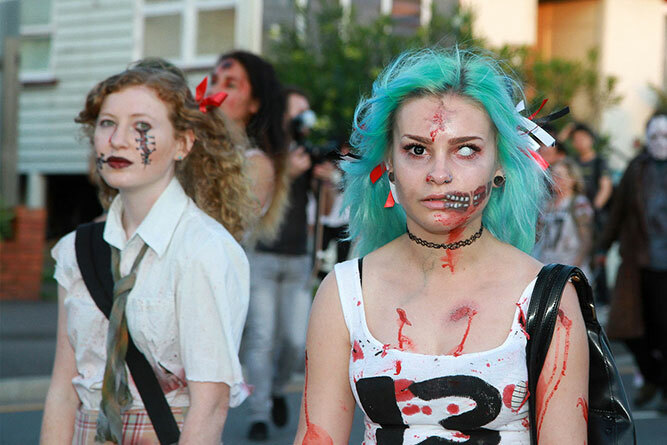 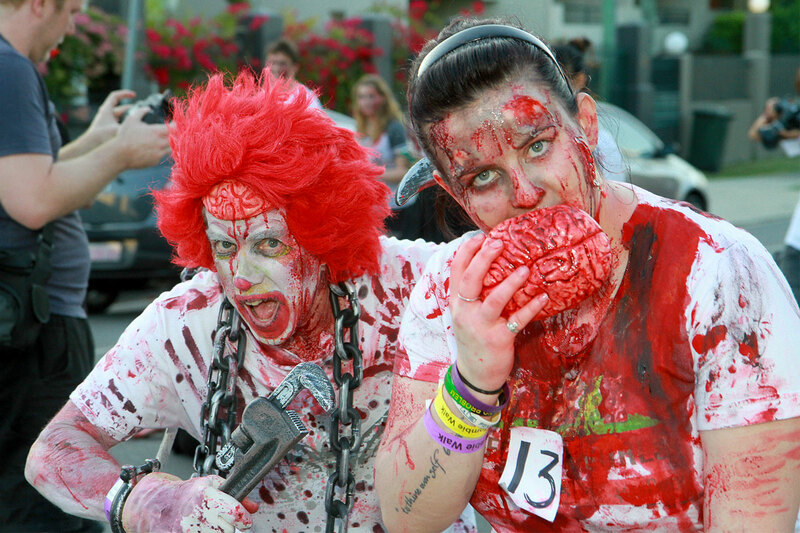 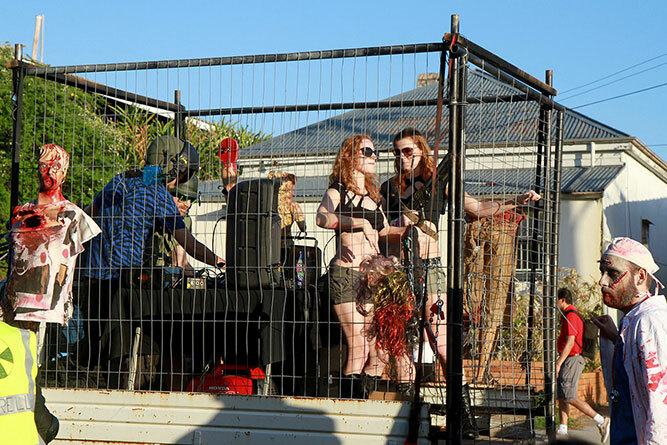 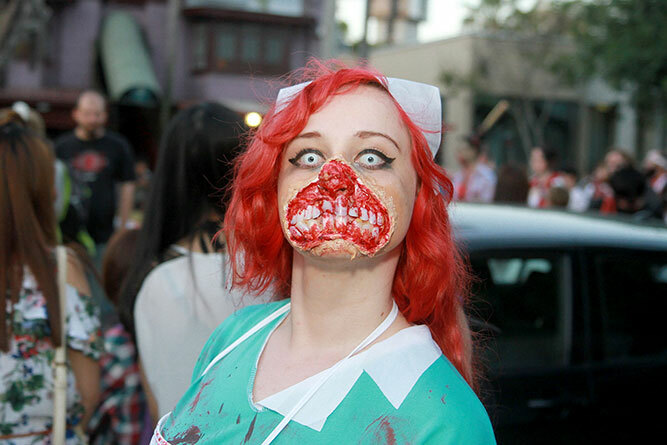 Plus, they’re zombies—when was the last time you saw well organised zombies obeying the rules? 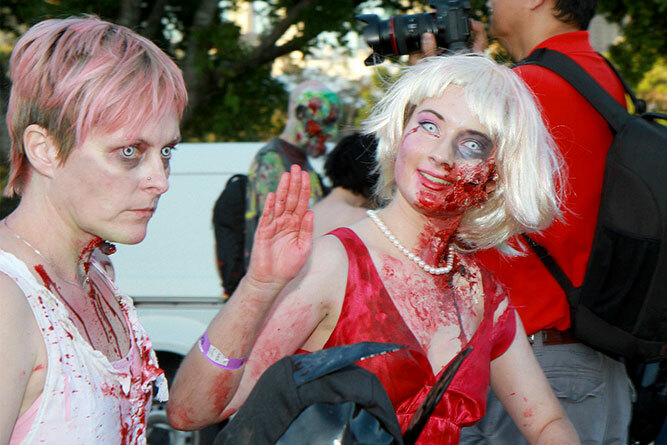 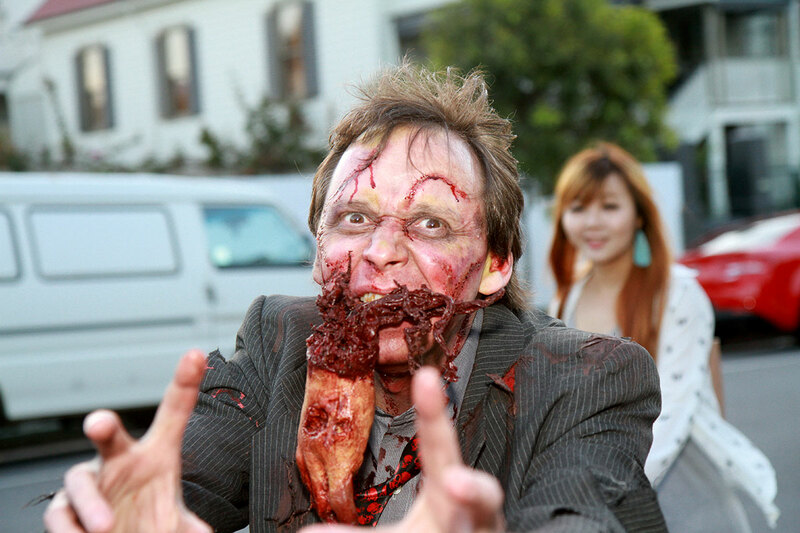 Live a little people, act like zombies and bring back some life to an event which feels very boring and corporate now. 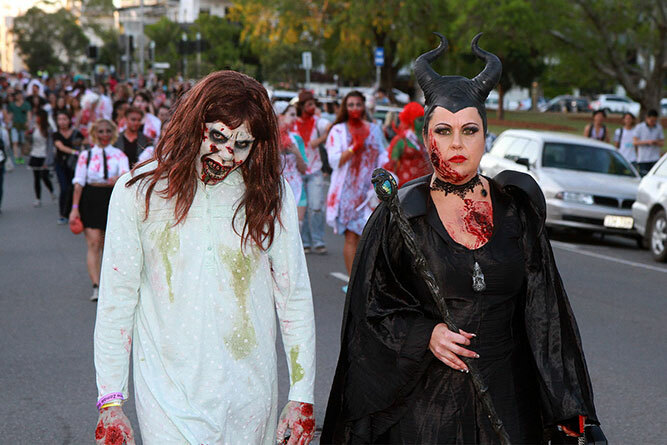 To those who put in the effort, you looked amazing. 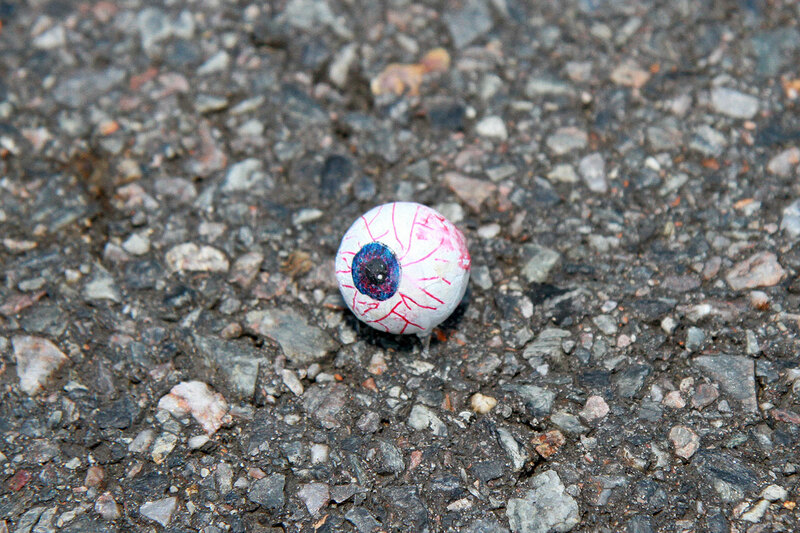 May you die long! 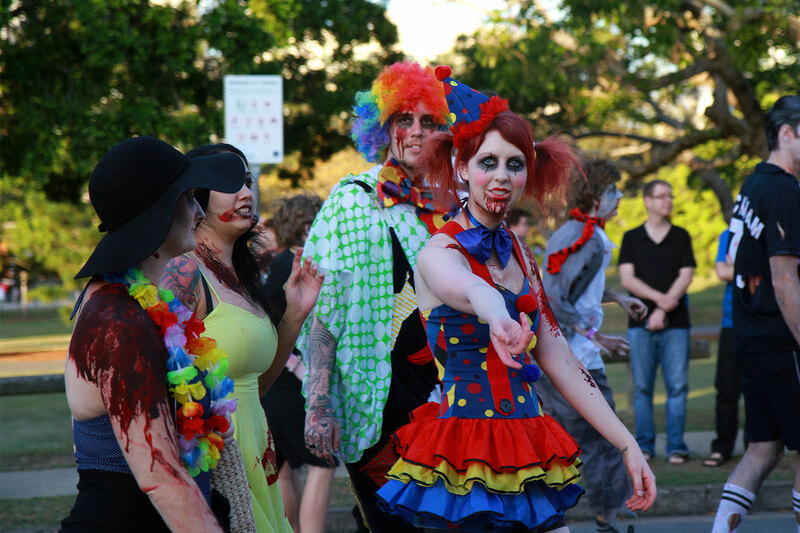 After the zombie walk I drove down to The Powerhouse to get Bronwen from her TedX event, and then drove up to Bronwen’s parents’ place with her. Created about 4 yrs, 5 mths ago (October 23, 2014). 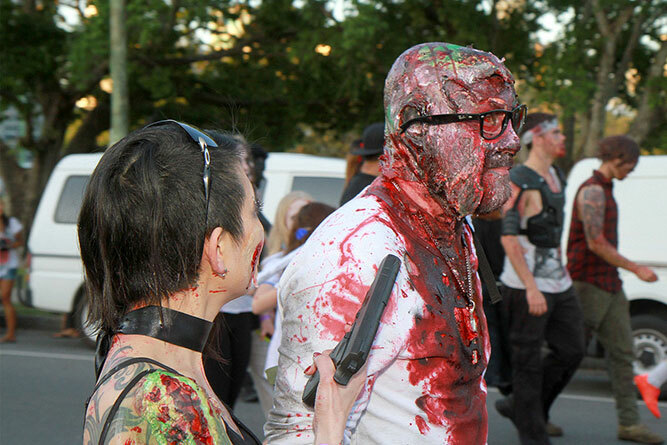 Updated about 1 yr, 6 mths ago (October 4, 2017).